DPS Sector 84 Gurugram opened its doors to another session on 4th April 2019. The air was abuzz with mixed emotions- the old students happy on being back and the new ones being apprehensive on what the day had in store of them. But like always it didn’t take too long for all the students- from Nursery to Grade IX to settle down among friends. The teachers had planned first day activities that kept the students engaged and helped foster bonds with one another. The day ended with happy faces and an eagerness to be back the next day. 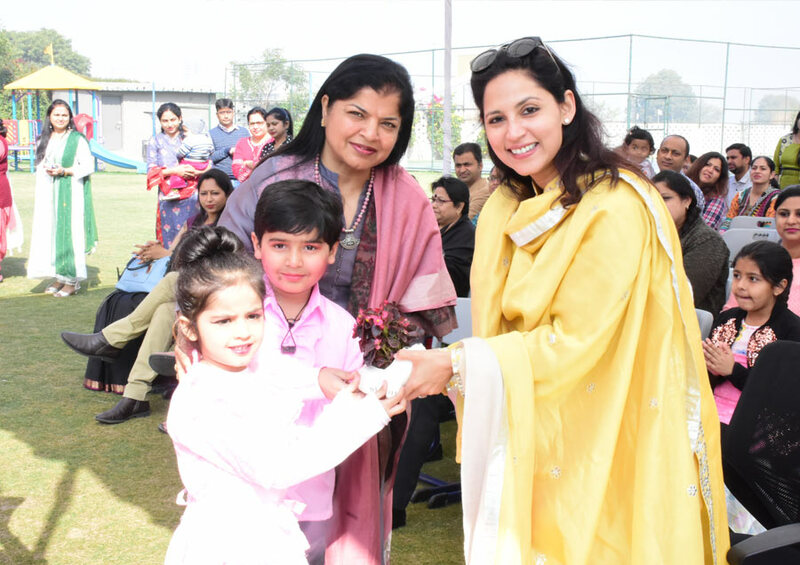 A Talent show was organized by DPS 84, Gurugram on 15th March to encourage the children to come forward and showcase their talent. It was a pleasure watching Nursery students perform confidently and enthusiastically in front of their parents. Every opportunity at DPS ensures that a child’s intrinsic qualities are nurtured and it helps in removing their stage fear. This will help them in developing their personalities. Graduation Day for a Kindergartener is a day of pride as they enter into formal schooling thereafter. 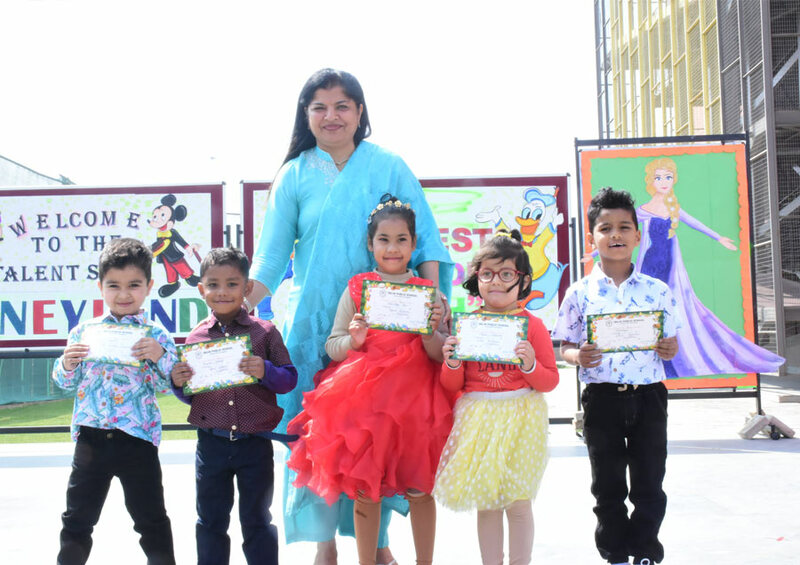 KG students of DPS sector -84 celebrated their Graduation Day on 16th March where they put up a beautiful show named ‘Dreamagica’ for their parents. The Chief Guest for the occasion was Ms. Menaka Paul Lakhanpal who enjoyed the show immensely. 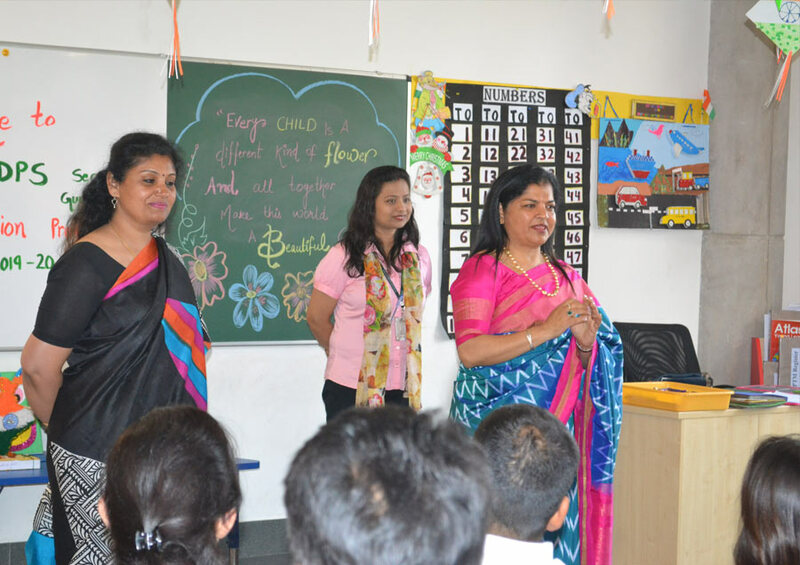 School Principal, Ms. Neelu Sharma welcomed the parents and introduced them to the formal school system. She briefly explained the changes(physical, emotional and academic) that these little children will go through and how the adults in their lives have to work towards making the transition as smooth as possible for them. The morning saw Disney characters like Minions, Barbie, Elsa from Frozen, Alex and the Chipmunks and Mowgli come alive on stage. It was heartening to see parents take the stage and share their experiences. These little Dipsites have great milestones to achieve and we at school aim to equip them with the lifeskills that will make them responsible, caring and committed citizens of tomorrow. After two successful years DPS sector 84 is ready for the new academic session and held the orientation 2019-20 on 17th March 2019. The new parents from Nursery to Grade IX attended the same in large numbers. The orientation was conducted to apprise the parents on the pedagogy and curriculum of the school and to familiarize them with the facilities, rules and regulations. The school principal Ms. Neelu Sharma addressed the parents and said that DPS 84 caters to the holistic development of the child. An interactive session was held at the end of the orientation to answer any query they had. 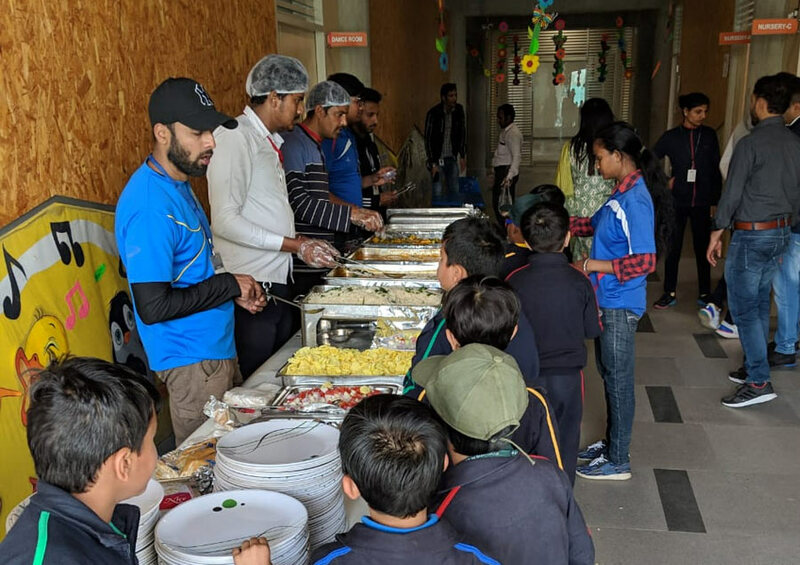 An action packed day camp was organized for the students of Grades I to III at Delhi Public School, Sector 84, Gurugram, on 11th March 2019 in the school ground. It was a unique and exhilarating experience for the young kids, which was designed to provide fun and challenging activities for the students. The camp kick started with enthusiastic students arriving with their equally enthusiastic parents. It was a sight to behold as the young students assembled and were super excited to see so many activities organized for them under the supervision of well trained guides and facilitators. The various activities, included Tent pitching demonstration and camp setting, Zorbing, River crossing, Effective team building and confidence building activities, Magic show, Music and dance, enabled students to come out of their comfort zones and achieve the goal set for them. The students were served with scrumptious lunch and evening refreshments. The students went home tired yet happy and looking forward to the camp in the next session. An overnight adventure camp was also organized for the students of Grades IV to VIII, within the school premises, on 11th and 12th March, to help develop their collaborative skills and boost their confidence. After t arrived, the students were briefly introduced to the rules of outdoor living and Do’s and Don’ts of camp life. Once they were all settled, the camp guides took the students for various exciting activities which included Commando crawl, Commando Net, Hop Scotch, Twine, Web of life, Australian Planks, Rope climbing, Tyre Crossing, Tarzan Swing, Double Rope Bridge, Monkey Crawl, Burma Bridge, Tug-o-War, etc. After dinner students sat around bonfire and tapped their feet on some popular hit songs and music. Some daring singers sang rap and entertained the audience present there. Our Principal, Ms. Neelu Sharma, also stayed the night with the students and made sure that each and every student was provided with utmost comfort and security. Next day students were made to get up early morning and were taken to the school ground for warm up exercises, followed by an appetizing and savory breakfast. Post breakfast session included some organized sport games. Student bid good bye to their peers and teachers and went back home with their parents. Overall it was an overwhelming experience which brought the student and teacher community much closer. 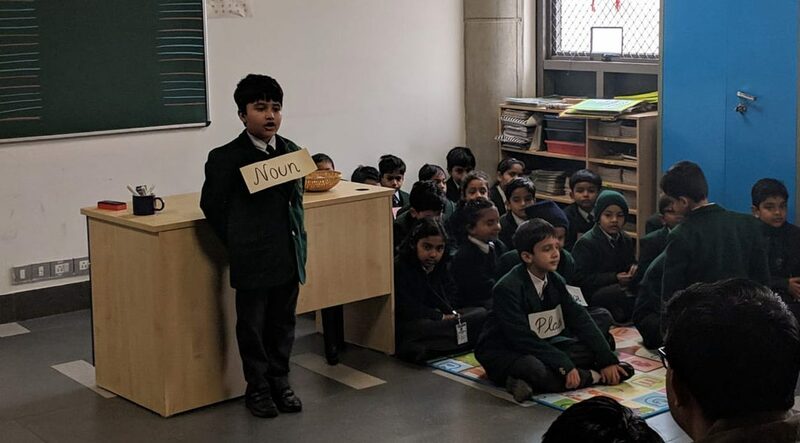 It was a challenging task for the students of Grades I and II to act as teachers and present certain concepts, putting in some fun facts, interactive questions, and other interactive activities on the cards to share those with their parents, during their class presentations on 26th and 28th of February, 2019, respectively. The students created innovative learning environment by introducing various concepts on different subjects and engaged themselves in active learning by posing questions to each other and simply presenting established facts and portraying a smooth path to knowledge. It provided them with a platform wherein they exhibited their multiple skills based on math, language art, scientific inquiries, social and moral values and last but not the least, the life skills. 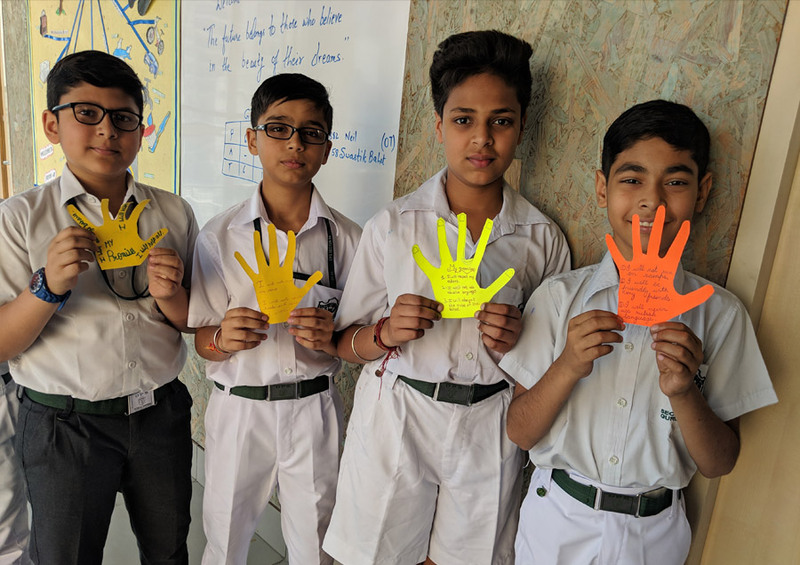 Each and every child in the class availed an opportunity to participate, communicate and deliver some information to the audience present in the classrooms. They wore a confident look and spoke with modesty . Parents were full of praises and applauded for their exuberant performances.